I found this quote about preaching both encouraging and illuminating. Click here for more Preaching Related Posts. Someone, presumably a pastor, visited my blog early Sunday morning after running a Google search on the phrase, “I am tired of preaching.” (Here is the post Google returned: Preaching Tired.) It was a reminder to me that many pastors struggle with the week in and week out preaching of God’s word. How long has it been since you expressed appreciation to your pastor for the weekly work of preaching God’s word? Perhaps today would be a good day to send a note of thanks and encouragement. Billy Graham, preacher, evangelist, founder of the Billy Graham Evangelistic Association. Charles Swindoll, senior pastor of Stonebriar Community Church in Frisco, Texas, and founder of Insight for Living Ministries. Charles Stanley, senior pastor of First Baptist Church, Atlanta, and founder of In Touch Ministries. John MacArthur, pastor-teacher of Grace Community Church in Sun Valley, Calif., and president and featured teacher of the Grace to You ministry. David Jeremiah, founder of Turning Point Radio and Television Ministries and senior pastor of Shadow Mountain Community Church in San Diego County, Calif.
Max Lucado, minister of writing and preaching at the Oak Hills Church in San Antonio, Texas, and the recipient of three Christian Book of the Year awards. Andy Stanley, senior pastor of North Point Community Church, Buckhead Church, and Browns Bridge Community Church – all in the Atlanta area – and founder of North Point Ministries. I am familiar with most of these names, and I would say most of them have had a positive influence in my life. Still, none of them have influenced me as much as the pastors who have faithfully preached God’s word to me over the years in the various churches where I have attended. I don’t think that the sermon needs to resolve every single tension and answer every question that the text raises. I think that I will say that my intellectual curiosity greatly exceeds my people’s capacity to listen, and it grieves me when I hear preaching and teaching that tries to nail down every single corner, answer every issue. I love commentaries like that, and I love to study and answer all the questions that are in mind so that I can preach with confidence. But I think a lot of times I refer to this as not preaching your homework. And you need to know what it says, and you need to have it all nailed down according to the dictates of your own conscience, but then you need to carve out of that the fillet part which is what the people need for their own souls. I do actually struggle with preaching that overly intellectualizes the text rather than forming it into a meal that actually will feed the souls of the people. Trevin Wax has a great series of posts on Larry Witham’s book: A City upon a Hill: How Sermons Changed the Course of American History. Book Review: A City upon a Hill: Trevin reviews Witham’s book. Interview with Larry Witham (Part 1): Witham discusses the most influential preachers and sermons in American history. Interview with Larry Witham (Part 2): Witham discusses how preaching has developed in the United States over the centuries. How Long Should Pastors Preach? Hi Ray! Can you help settle a discussion issue for S. and me? Is there any research on how long the average sermon is? Or “should” be? Thanks! We love to pester our pastor friends with random questions. Great questions! The first question is the easier one. Average sermon length seems to be about 30 minutes for Protestant churches in the United States. 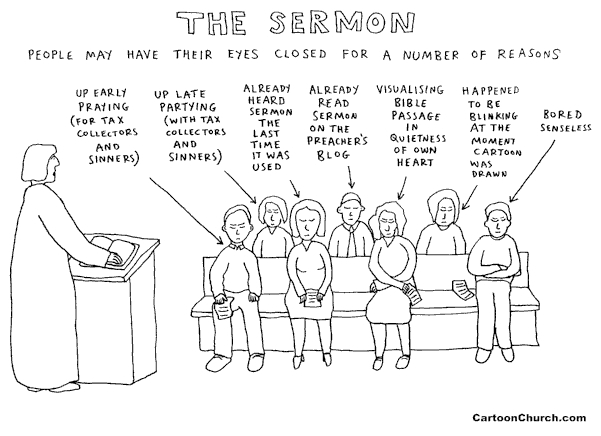 How long “should” a sermon be? Probably depends on whether you’re asking the preacher or the people listening! I usually preach somewhere between 25-35 minutes on a Sunday. At the nursing home I preach for about ten minutes. A lot depends on the congregation and the particular situation. Although much has changed in worship just in the last five years, one thing that has not changed is the length of the sermon. The average pastor preaches for nearly 31 minutes today – about the same as five years ago. Pastors in the study preached for anywhere from eight minutes each week to almost two hours. Pentecostals tended to have the longest sermons, averaging just under 40 minutes. Of the major denominational groups, Lutherans (20 minutes) and Methodists (just under 22 minutes) had the shortest sermons, on average. How long does your pastor preach? How long do you think pastors should preach? Mark Roberts has some fun imagining what it would be like if American Idol judged preachers. 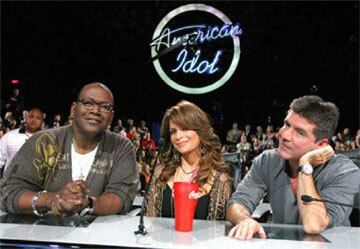 Can you imagine what it might be like if the American Idol judges weighed in after your pastor’s next sermon? Randy: Look, dude, check it out. Ya know, that really worked for me, man. That sermon was outstanding. It was da bomb! Paula: I’m so proud of you because you’re really being yourself with us. Plus, you look great today. I just love you and can’t say anything bad about you because I never say anything bad about anybody, except Simon. Simon: I’ve got to be honest with you, pastor. I came to hear the word of God today. But what I got was more like the baby talk of demons. You just didn’t do your homework this week. Frankly, your sermon was a nightmare! If I were you, I’d pack my bags. Wednesday morning I drove up to my parents’ home in Kennebunk, Maine. It was about a three-hour drive, so I began my retreat on the road by listening to some of my favorite music that helps me focus my heart on God. I arrived just in time for lunch (how convenient!) and spent some time catching up with my parents over a meal before settling in to study for the afternoon. For the retreat I spent my mornings and afternoons in study and prayer. 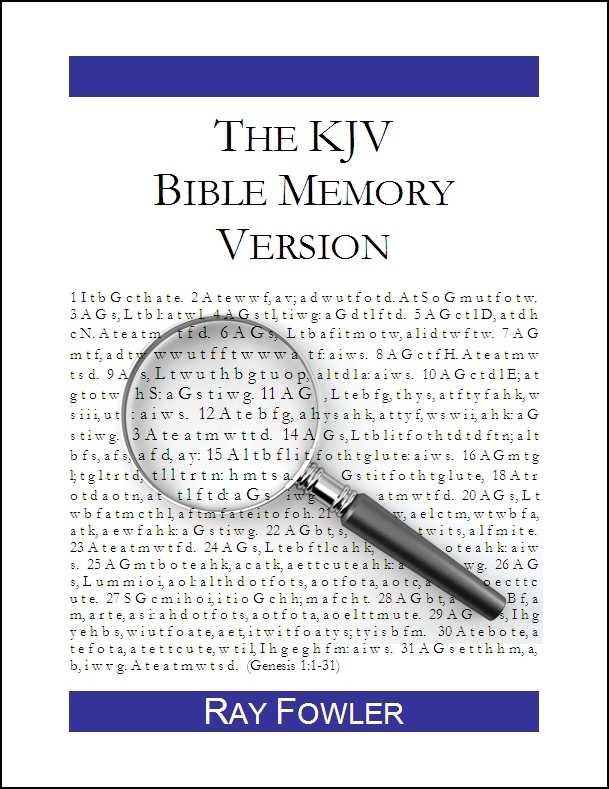 I spent Wednesday afternoon just reading through 1 Samuel 1-7, lingering in the text, taking notes on various themes and looking for connections. The next several days I spent blocking out the sermon texts and themes while interacting with several commentaries. I took breaks for meals and in the evenings to enjoy time with my parents. It is amazing how much you can get done with large blocks of uninterrupted time. Time management experts say that even a five-minute phone call can disrupt your concentration and easily cost you 30-40 minutes of productivity. The computer with email and internet access can also be a source of small interruptions during the day. To guard against this, I did all of my studying away from the computer, writing out my notes longhand on lined paper in a notebook. Hopefully, I will be able to read my own handwriting as I reference these notes in the coming weeks for sermon preparation! All in all it was a great study retreat. Thanks to my wife and children for graciously letting me take off for several days. Thanks to my parents for hosting me at their home. Thanks to my church for letting me take the time away from the office for this extended time of study. And thanks to my blog readers for being (mostly) nice in the comments while I was away. I am off this morning for a three-day study retreat in preparation for our next sermon series. I don’t often get to do this, so I am looking forward to some uninterrupted time with God in his Word in a different setting than at home or at church. Needless to say, the blog will be on vacation while I am gone. I should get back to posting on Monday. In the meantime, here is a fun little commercial from the Discovery Channel that has been making the rounds. Enjoy! I think we should remain dissatisfied with our preaching, so that we are always motivated to grow in our preaching. But I think there is a difference between being dissatisfied and being discouraged. For me, when I’m discouraged, normally that reveals the presence of pride, that to some degree in my preaching I was attempting to impress rather than serve. This is from a panel session at the T4G’08 Together For the Gospel Conference that is taking place Tuesday-Thursday this week in Louisville, Kentucky. All talks from the conference are available for free listening or download here: Free Audio Downloads from Together for the Gospel.